Full Moon Train is a sonic homage to some of the iconic Nashville and New York studios of the 1960s. Starting with the Hank Williams-esque honky-tonk sound of "You Were Walking". The album touches upon the styles of Link Wray (the instrumental tune "The Grumbler", which features some rockabilly shredding), Leonard Cohen ("The Factory Waltzes"), Bob Dylan ("Queen of the County" which tells the story of a chance encounter with one's past) and even the rockier stuff of Simon and Garfunkle ("Yah, Yah, Yah, Yah" which has similar sonics to their song "Blessed"), but never strays too far from the Hank Williams hurting tune paradigm, exemplified in "Getting Over You". The album ventures into jazzy terrain with songs like "Full Moon Train" and "Corner Of My Eye", (which sports a memorable and shreddy guitar solo) and earlier tracks like "Never Come Back" (a Travis picking rootsy ballad about substance abuse), segue gracefully into the punk-country stylings of "Anywhere Else But Here" towards the end of the album. The intimate folk song "Backwoods Angel" closes the album which, when taken as a whole, presents a diverse and inviting stylistic landscape. Through-out, themes of lost love, substance abuse, midnight trains and an overwhelming need to be outdoors, dance and whirl through this retro sounding but modern collection of hurtin' tunes. 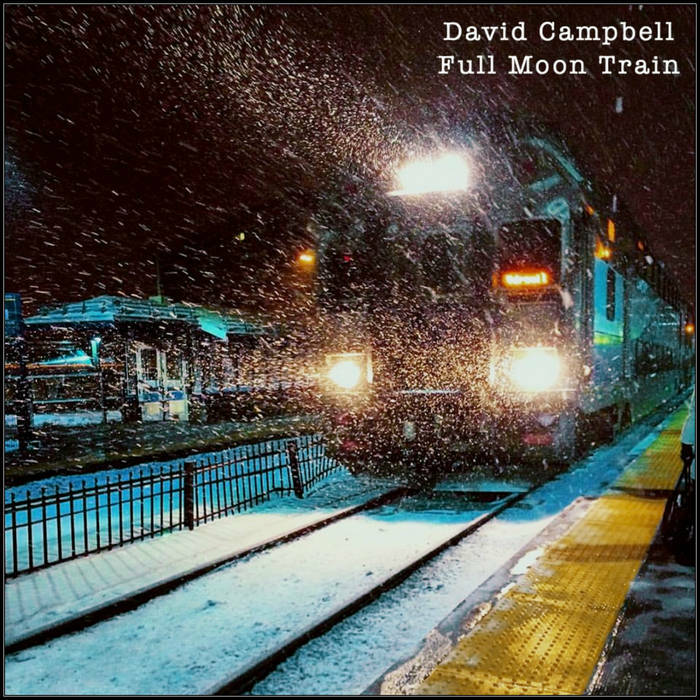 David Campbell-vocals, guitars, bass, keyboards, drums and drum programming, steel, mandolin, banjo. I thought you were a fallen angel. You thought I was a man of means. Our big old hearts were on the table. Didn't think to look up both our sleeves. I used to think you were the best thing going. You used to mean the world to me. now what was I supposed to think. waving goodbye to me, we used to be so close. forty-one years been on some trip. forty-one more joined at the hip. I used to mean the world to you. waving goodbye to me, you used to be so cool. I thought you were my fallen angel. You thought I was your man of means. Our big ol' hearts were on the table. I was convinced we were the best thing ever. I knew a girl who'd do anything for you. Lost in a crowd but hidden in full view. Sold her hand, bought a crown, for everything she knew. she'd forgotten who was who. I knew who a man, who would warm his heart of stone. Close to the fire, that was burning in her soul. he fell to earth alone. I stood at the door and faced that awful wall of sound. If I'd had a cigarette, I'd turn and grind it into the ground. Walked away back to my car, and I turned the key. Drove away back to the stars, you've seen the last of me. You hear the clock striking twelve in the village below. Make out the shape of some train in the soft moon-light glow. your feet strangely drawn to the track. you know that you'll never come back. Drown in the music, let the beat pound out the pain. Don't walk that tightrope over the black-hole again. you're veins bulging under that strap. It might take years before you find some kind of peace. The most people hope for is some quiet form of release. cords 'round you heart come unwrapped. no matter what the good book said. not just because I stood out in the rain. Full moon train, is coming to get me tonight. no matter what your poet said. I've little hope to feign. Full moon train, is coming to take me tonight. no matter what your neighbour said. heart at my feet I feel no shame. Midnight train, is coming to take me tonight. Drift into the clouds, we'll float on by. her little nine by fives. in circles 'round the clock. we'll float into the sky. we'll pass it all by. Come outside. dance with me. the warmth welling up inside. and I was glad to take that ride. Everything she said just kept me running. Back to the place I was alive. Now I ride that midnight train. I ride the midnight train. word buzzing all over town. I really thought that I was something. Something they want to keep around. I ride that midnight train. Now my old heart stared thumping. And I began to dance around. The whole room started jumping. All going up and going down. Everything she said kept my running. held me under 'til my soul came clean. Hold me down 'til I come clean. in the quiet forest where I lay my head. On that ridge I laid my head. and the cold winds blow. won't let me in or let me go. Let me in or let me go.